Solid built home situated on a great lot with beautiful mature trees and plantings in University Heights! This charming classic 2 Story has a tremendous amount of space with over 4200 finished sq. ft. including a spacious 14x22 main level master suite that boasts 3 walk-in closets, 2 bath rooms, a small den, and 3 panel glass doors to an aggregate concrete patio; unbelievable 19x30 first floor library/study with vaulted ceilings and built-in bookcases on all sides; first floor family room with built-in T.V. niche; formal dining room; living room with a cozy wood burning fireplace; 4 upper level bedrooms including a guest suite or 2nd master suite; large unfinished basement; functional updated kitchen featuring solid surface countertops, stainless steel appliances, wall oven & separate gas cooktop; multi zoned HVAC system; lots of parquet and oak wood flooring; solid panel doors and some pocket doors; and large fenced yard and patio. Great opportunity! 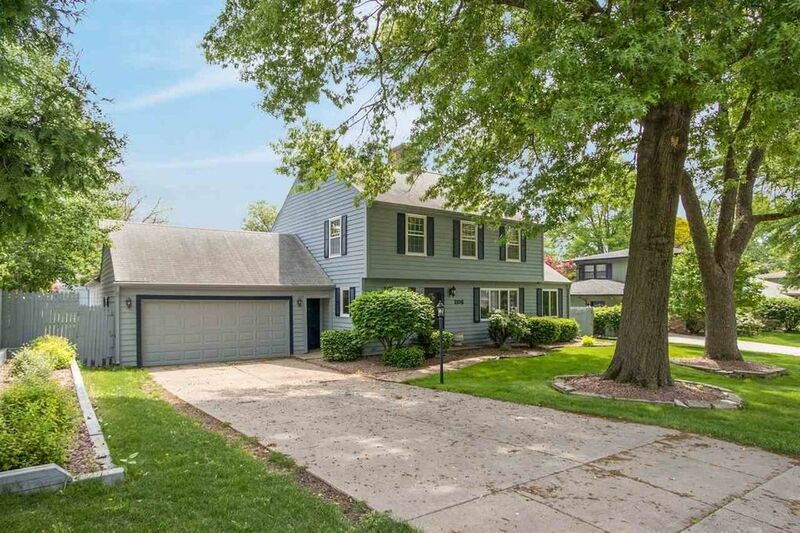 The home is conveniently located close to the Finkbine Golf Course, U of I Hospital, Law Building, Kinnick Stadium, and the U of I Athletic Club. Directions: Highland Dr. or Oakcrest St. to Mahaska Dr. Source Neighborhood: MELROSE PARK 5TH ADD. Subdivision: MELROSE PARK 5TH ADD.